The the homeowners wanted their deck to be maintenance-free while expressing a sense of natural materials. The client was an avid gardener so we created custom flower boxes to be attached to the railing wherever desired. These planter boxes simply look like extensions from the railing, made to blend in. 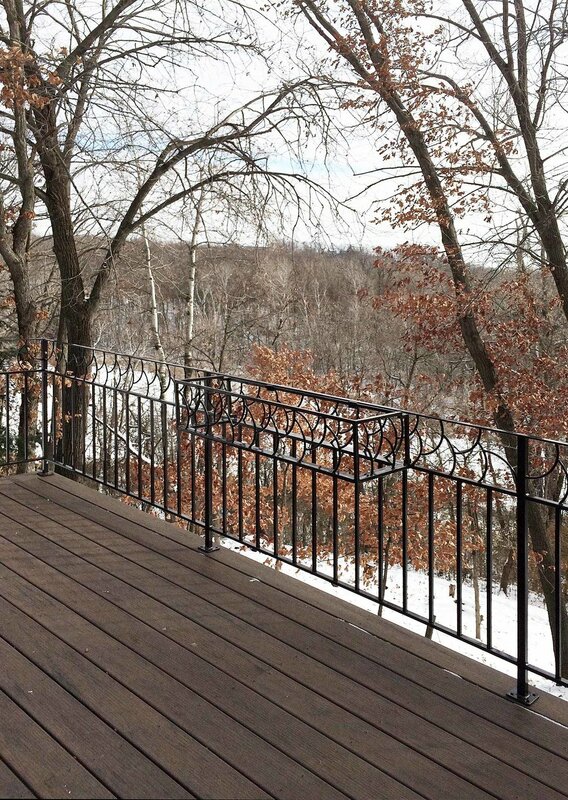 We mixed custom wrought iron railing with clear cedar to match the deck to the existing house while assimilating with the environment.